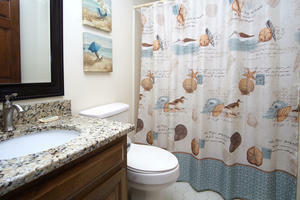 Explore the watery wonders just outside of Wellington 504, an oceanfront North Myrtle Beach vacation rental. This North Myrtle Beach resort boasts an oceanfront pool deck with a sparkling blue swimming pool and a hot tub adjacent to a spacious sun deck area. 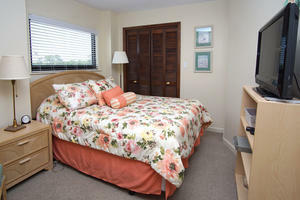 This is a three-bedroom, two-bath North Myrtle Beach vacation rental that sleeps eight people. 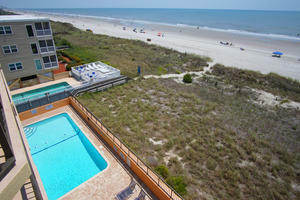 Wellington 504 is a comfortable North Myrtle Beach condominium rental with all the modern conveniences of home. 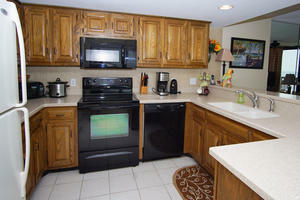 The kitchen is nicely equipped in this North Myrtle Beach condominium rental. This vacation condo in North Myrtle Beach, South Carolina is an end unit that overlooks the grill area this oceanfront resort offers guests. 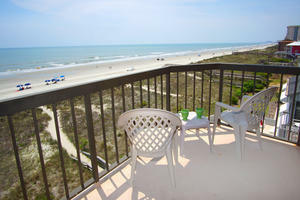 The oceanfront balcony in this North Myrtle Beach vacation rental is a peaceful place to relax with your family. 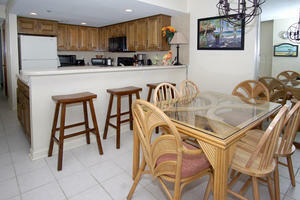 Amenities inside this North Myrtle Beach vacation rental include high-speed Internet access and a washer/dryer unit. 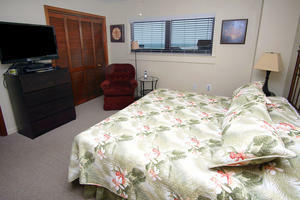 There are also several televisions and DVD players in this North Myrtle Beach condo rental. 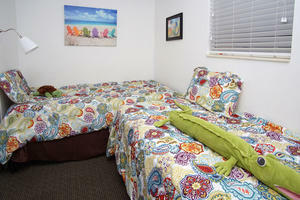 With all these creature comforts of home, it will be easy for you to unwind in North Myrtle Beach, South Carolina. This North Myrtle Beach condo renta is steps away from the white sandy beaches and just down the beach from a very popular fishing pier. Myrtle Beach golf, seafood restaurants, shopping and live entertainment theatres are just minutes away from this vacation condo in North Myrtle Beach, South Carolina.